NITA K II is inimpeccable condition in all respects, andis cruise-ready. United Yacht Sales New Jersey would love to guide you through a personal showing of this 171' Amels 2004. This yacht for sale is located in West Mediterranean France and priced at $23,900,000. For a showing please contact us by filling out the form on this page and we will get back to you shortly! 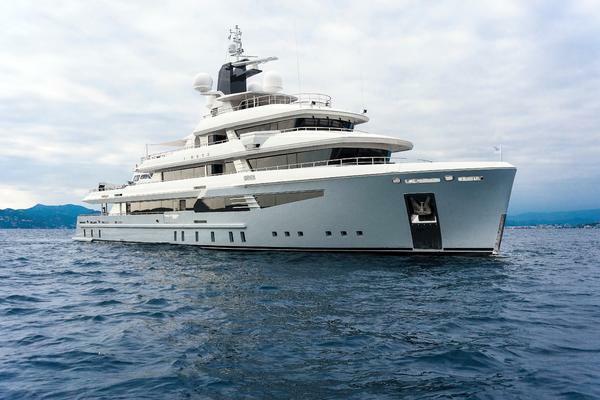 With a timeless, Dutch pedigree, NITA K II was built in 2004 by Amels, with refits in 2012, and 2016. 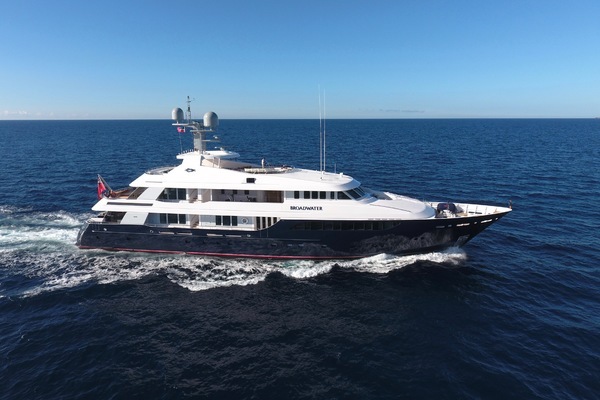 Featuring classic exterior styling by Terence Disdale, and an exceptionally detailed interior design and decor by Alberto Pinto and Laura Sessa, generous accommodations are for 12 guests in 5 staterooms. The full-beam master stateroom offers an extensive, his-and-hers en suite, walk-in wardrobes, and an adjoining lounge or office for the ultimate in privacy. Four spacious, king guest staterooms are below, 2 of which are VIPs that offer large, jetted tubs and oversized showers. Expansive social areas can be enjoyed both inside, and on her outstanding, well-planned exterior decks that feature several seating, dining, and lounging options on all three outdoor levels. NITA K II is inimpeccable condition in all respects, andis cruise-ready. - Exclusions include all of Owner's personal effects - "All speeds, capacities, consumption, etc. are approximate or estimated; measurements can also be approximate. Specifications are provided for information only and particulars herein obtained from sources believed to be correct, but are not guaranteed. Buyer should instruct his agent and/or surveyor to check all details for accuracy. Offered subject to prior sale, price and/or inventory change, or withdrawal from the market without notification."